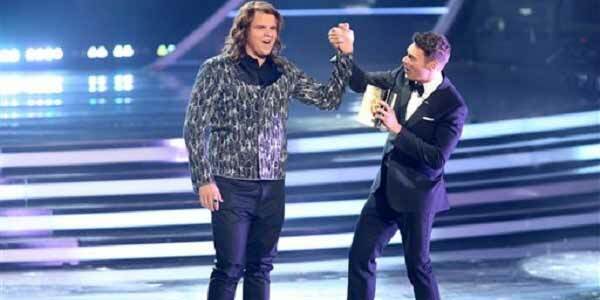 The 13th edition of American Idol just wrapped up with North Carolina rocker Caleb Johnson winning the crown. One thing was clear to those of us who have followed the hit program for years– this season was a lot better than last. The 2013 version of the show was almost painful to watch. The animosity between first-time judges Nicki Minaj and Mariah Carey was so blatantly on display that it was distracting. Veteran judge Randy Jackson spent much of the season playing referee for them, while the other judge, newcomer Keith Urban, just tried to ignore it all and stay focused on the show. To call the situation uncomfortable would be an understatement, and the ratings were hurt. Minaj and Carey got the boot, replaced by Harry Connick, Jr. and former judge Jennifer Lopez. When the new season kicked off, it was obvious the atmosphere among the stars was SIGNIFICANTLY better. Gone was the sniping, replaced by good-natured kidding and, especially with Connick, some outstanding musical critiques of the contestants. The final show even featured the three judges and Jackson (now with more of a mentor/observer role) jamming together onstage, something that would have been unheard of the season before. 2014 was just more fun to watch. There’s a very good lesson here for you and your effort at “getting noticed” in the media. Sometimes the best laid plans– like pairing two divas in a music show– just don’t work. You may have what you think is a surefire media plan that falls flat or just gets left out of the mix. If that happens, it’s REALLY important to shift gears and find one that does work. The best (and most watchable) guests I’ve dealt with as a TV producer are nimble on their feet. They don’t just stick to their “thing” no matter what. They watch what’s going on and adjust their performance to that (and let’s face it, you are performing when you make a media appearance). They see the reactions of interviewers and other guests and react accordingly. Being a “one-trick pony” may get you an initial shot with an anchor or reporter, but unless you can bring more than that to the party, you won’t likely be very impressive…or invited back. Now, that’s not to say you should try to be something you are not, but unless you can see how your specialty fits in the bigger picture, your value as a source is limited. You won’t be able to react to a shift in the conversation. I have often cited the phrase by the great UCLA basketball coach, John Wooden: “Failure to prepare is preparation for failure.” To succeed in the media you need to be prepared– not just for what you will be talking about but where the discussion might lead…and be ready to change direction if needed. That ability can make you a rock star in the media world.